Pacific Medical Law has established a bursary fund in honor of Janna Epp, a beautiful, determined young girl with cerebral palsy, who faced challenges that few of us could imagine. Sadly, on October 11, 2012 Janna passed away. In memory of Janna, Pacific Medical Law will donate $5,000 to a child living with cerebral palsy every year, to assist with that child’s care, therapy or recreation. The recipient of the award will be selected by Janna’s mother. This year the bursary recipient will be selected on July 31, 2019. Applications are due June 28, 2019. We have had the privilege of reading the stories of many exceptionally devoted and committed parents who need assistance in providing the specialized care, support, therapy and equipment their child needs and deserves in order to reach their full potential in life. Pacific Medical Law will continue to honour Janna’s memory and support these families in the years to come by providing this bursary to one family every year. Pacific Medical Law will also continue to support families of children living with cerebral palsy by contributing both our time and resources to the Cerebral Palsy Association of BC, as well as financially supporting their bursary programs. We believe in making a difference for children living with cerebral palsy, both inside and outside of the courtroom. Meet Jayde and Skyla – the 2018 recipients of the Janna Epp Bursary! 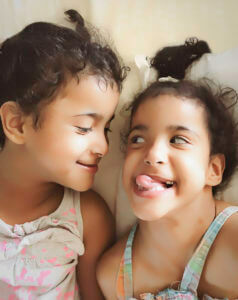 Jayde and Skyla are 6 year old twin girls living with cerebral palsy. Jayde and Skyla are extraordinary little girls. They have a zest for life and have overcome so many hurdles. As you can see from their photos, they are full of love and laughter and have brought much joy to their family. Jayde and Skyla’s biggest challenges relate to their physical disabilities which limit their opportunities and restrict their quality of life. They miss out on opportunities to play, explore and interact both in the home and in the community because of physical barriers. Both Jayde and Skyla are completely dependent for mobility and require a great deal of support and equipment to assist them, especially as they become bigger and stronger. Their parents would like to use the bursary funds toward the installation of an elevator in their home to allow full access and safe mobility within their home. We hope these bursary funds assist in allowing the family to install this much needed elevator and that Jayde and Skyla benefit from the improvement in the accessibility of their home. The recipient of the 2017 Janna Epp Bursary is Eleeka. Eleeka is a loving child who loves hugs and attention. She enjoys listening to music, playing in the water and riding her adapted tricycle.Eleeka has cerebral palsy with complex medical issues. One of her challenges is that she is developing scoliosis. In order to aid in preventing the progression of her scoliosis, she has to wear a hard brace, which is uncomfortable, creates skin sores and limits her ability to move her body. 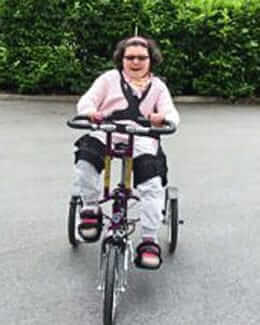 This has limited Eleeka’s ability to enjoy her activities and has resulted in muscle weakness. Eleeka’s parents would like to use the bursary funds to purchase a new brace for Eleeka called a SpineCor Dynamic Corrective Brace. This is a flexible belting system which will aid in preventing the progression of scoliosis while allowing Eleeka to have the freedom to move her body thereby regaining her strength, and continuing to enjoy her activities. We wish Eleeka and her family all the best and hope that this new brace keeps Eleeka smiling during her activities. The recipient of the 2016 Janna Epp Bursary is a little girl named Amy. Amy is a fighter. She suffered a traumatic birth causing significant injury to her developing brain. However, she has defied the odds and exceeded the expectations of her doctors. She has fought through seizures, surgeries and all the complications involved. She has spent more time in hospital than any young child should. However, as described by her mother, “she keeps fighting, she keeps smiling and we keep enjoying her”. 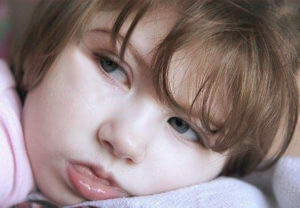 Like many children with cerebral palsy, Amy understands much of what is going on in the world around her. She has thoughts and feelings to share but no ability to communicate those thoughts and feelings with her loved ones and caregivers. Amy’s mother has a dream – and that dream is to find a way to allow her daughter to communicate. These bursary funds will be used to purchase advanced communication technology for Amy to allow that dream to come true. We are pleased to assist in making this dream come true for Amy and her family and look forward to hearing how the ability to communicate is making a difference in Amy’s life. The recipient of the Janna Epp Bursary for 2015 is a little boy named Owen. Owen, despite all of his challenges, is an incredibly happy kid. You can always expect a smile from him, which completely lights up a room. Owen, like all boys, would like a bicycle. 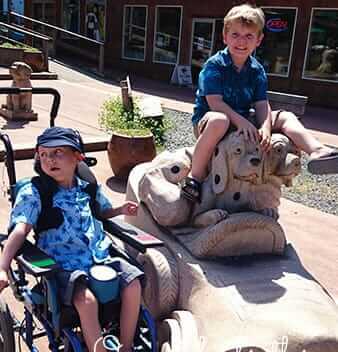 We have provided these bursary funds to Owen’s family to assist them in purchasing an adaptive bicycle for Owen so that he will be able to ride alongside his brother. It gives us great pleasure to be able to help make this possible for Owen, and we wish him and his brother endless fun on their bikes together. We are pleased to announce that the recipient of the Janna Epp Bursary for 2014 is a little girl named Leila. 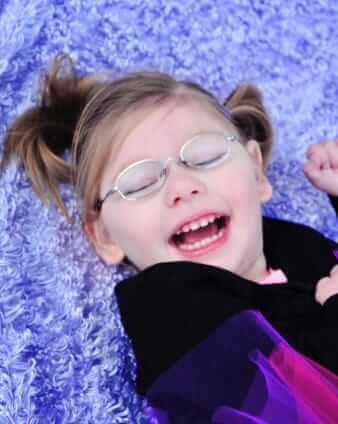 Leila is an extraordinary little girl with cerebral palsy who is amazingly strong and has a true zest for life. Leila works hard with her therapies and would like to try Feldenkrais therapy and therapeutic horseback riding to improve her muscle tone and decrease stiffness. She would also like a Squiggles postural support system to keep her safe and comfortable when she is out exploring the world. It gives us a great deal of pleasure to support Leila and her mother, in this small way, to help Leila reach her full potential in life. For more details please contact Pacific Medical Law at 604 685 2361, toll free at 877-898-2409 or by email at info@pacificmedicallaw.ca.